“All disease begins in the gut.” Hippocrates (460-370BC). The statement made by Hippocrates all those years ago is now being proven true by scientists today. As science and research continues in this fascinating area of health, it is being widely recognised that gut bacteria and its actions is an influential determinant of homeostasis (state of balance). The growing understanding of the influence of bacteria in the gut is becoming one of the biggest breakthroughs in modern medicine. The action and behaviour of bacteria is proving to be the missing link which explains health conditions such as heart disease, diabetes, cancer and autoimmune illnesses; how they are triggered and treated. Research is showing that bacteria may release chemicals which create signals influencing emotional and mental health. This could potentially kick start anything from anxiety and depression to dementia, obsessive compulsive disorder and conditions such as ADHD or Asperger’s. Interestingly enough, Research from the University of Arizona, USA, has found that children with autism have significantly lower levels of gut microbes. According to the Human Microbiome Project which is conducted by America’s National Institute of Health, each person supports some 100 trillion types of bacteria. Bacteria reside in all areas of the body, but the largest collection can be found within your gut or large bowel. So basically for every cell of “you” there are 10 times the number of bacteria cells. So we really cannot underestimate their influence on our body. I often discuss the connection with the brain and gut with my clients during their reflexology sessions. In the gut, bacteria make chemicals such a dopamine (“the pleasure hormone”) and serotonin (“the happy hormone”). These hormones are also produced in the brain and are linked to mood. The influence that bacteria have over neurotransmitters and hormones may alter brain function and change one’s emotional state. Scientists are now researching the epidemic of depression and anxiety related issues. They have identified a strong link with this modern day epidemic and gut bacteria imbalance. The impact of the Vagus nerve on digestive health has been discovered by numerous research studies at both the University of Mexico and Arizona State University, USA. The bacteria can influence your palate and send signals to your brain via the vagus nerve; which runs from the gut to the brain. One of the studies entitled Athena Aktipis states, “Microbes have the capacity to manipulate behaviour and mood through altering the neural signals in the Vagus nerve, changing taste receptors, producing toxins that make us feel bad and releasing chemical rewards that make us feel good.” So basically the bad gut bacteria can act like little divas and demand our brain signals to consume food which they thrive on and multiply. So how can we rein in these little divas? How can we improve our gut health somatically or holistically? Daily probiotics In the form of acidophilus. Taking capsules create a standardised dosage daily which helps increase the proliferation of good bacteria. We want the good bacteria to take up all the real estate in your gut. Regular intake of probiotics will help achieve that goal. Look at your lifestyle factors. Factors such as excessive alcohol intake, smoking, consumption of processed foods and dehydration have a negative impact on digestive health. Consideration may be needed as regards particular components of certain foods we may be sensitive to such as fructose or gluten. Though improving your gut flora is crucial, it takes time and so in the process of investing time and energy into your health (after all we only get one body), we should address some additional areas. We need to prioritise rest and relaxation into our life. When we rest and recharge our batteries our immune system thrives and the nervous system settles. Our emotional and physical health can flourish. 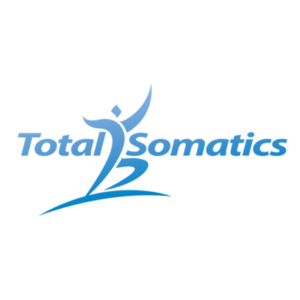 Somatics is a fantastic modality to help reduce stress and tension within the body and mind. As our digestive system is still a muscular structure, it is very much affected by external and internal stimuli, which could include anxiety and stress. 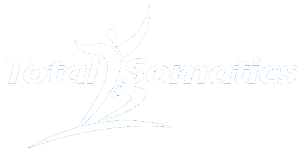 By developing mindfulness breathing with Somatics, we can slow down the stress response in our body, increase oxygen to the tissues, relax internal structures and organs. The brain controls all actions of the body. When we start to improve our neuroplasticity, we change the way we move our body, think, speak and behave. We start to change our overall health and wellbeing. November 7, 2018 By Heidi Hadley Blog alpha gamma motor neuron feedback loop, beliefs, education, ego, fact check, mindfulness, mindless, muscle, neuromuscular health, neuroscience, PAIN, pandiculation, research, spinal cord reflex, stretching Comments Off on Does Stretching Really Work?